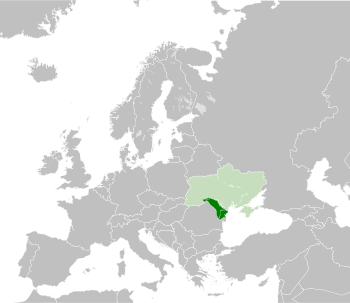 Bessarabia (Romanian: Basarabia; Russian: Бессарабия Bessarabiya, Turkish: Besarabya; Ukrainian: Бессарабія Bessarabiya; Bulgarian: Бесарабия Besarabiya; ) is a historical region in Eastern Europe, bounded by the Dniester river on the east and the Prut river on the west. Today Bessarabia is mostly occupied by modern-day Moldova, with the Ukrainian Budjak region covering the southern coastal region and part of the Ukrainian Chernivtsi Oblast covering a small area in the north. In 1940, after securing the assent of Nazi Germany through the Molotov-Ribbentrop Pact, the Soviet Union pressured Romania into withdrawing from Bessarabia, allowing the Red Army to retake the region. 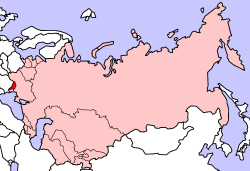 The area was formally integrated into the Soviet Union: the core joined parts of the Moldavian ASSR to form the Moldavian SSR, while territories inhabited by Slavic majorities in the north and the south of Bessarabia were transferred to the Ukrainian SSR. Axis-aligned Romania briefly recaptured the region in 1941 during the Nazi invasion of the Soviet Union, but lost it in 1944 as the tide of war changed. In 1947, the Soviet-Romanian border along the Prut was internationally recognised by the Paris Treaty that ended World War II. During the process of the dissolution of the Soviet Union, the Moldavian and Ukrainian SSRs proclaimed their independence in 1991, becoming the modern states of Moldova and Ukraine, while preserving the existing partition of Bessarabia. 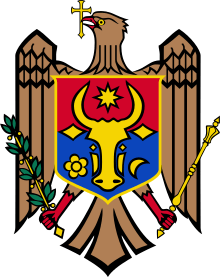 Following a short war in the early 1990s, Transnistria proclaimed itself the Pridnestrovian Moldavian Republic, separate from the government of the Republic of Moldova, extending its authority also over the municipality of Bender in Bessarabia. Part of the Gagauz-inhabited areas in the southern Bessarabia was organised in 1994 as an autonomous region within Moldova. 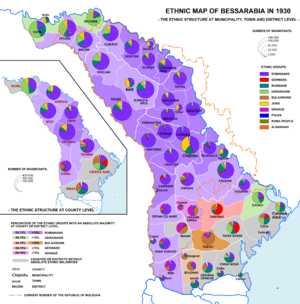 According to the traditional interpretation, the name Bessarabia (Basarabia in Romanian) derives from the Wallachian Basarab dynasty, who allegedly ruled over the southern part of the area in the 14th century. Recent research has however cast doubt on this view, as the name was first applied to the territory by Western cartographers, showing up in local sources only in the second half of the 17th century. Furthermore, the use of the term to refer to the Moldavian lands near the Black Sea was explicitly rejected as a cartographic confusion by the early Moldavian chronicler Miron Costin. The confusion may have been caused by Polish references to Wallachia as Bessarbia, wrongly interpreted by medieval Western cartographers as a separate land between that country and Moldavia. According to Dimitrie Cantemir, the name originally applied only to the part of the territory south of the Upper Trajanic Wall, somewhat bigger than current Budjak. The name Bessarabia may literally mean "Bessi slaves" (?) after the Thracian tribe which was expelled by Trajan north of the Danube. The region is bounded by the Dniester to the north and east, the Prut to the west and the lower River Danube and the Black Sea to the south. It is approximately 17,600 sq mi (46,000 km2). The area is mostly hilly plains with flat steppes. It is very fertile, and has lignite deposits and stone quarries. People living in the area grow sugar beet, sunflowers, wheat, maize, tobacco, wine grapes and fruit. They also raise sheep and cattle. Currently, the main industry in the region is agricultural processing. 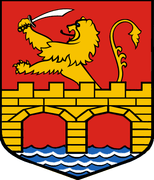 The region's main cities are Chișinău the capital of Moldova, Izmail, Bilhorod-Dnistrovs'kyi (historically called Cetatea Albă / Akkerman). 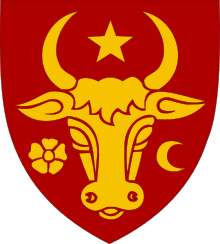 Other towns of administrative or historical importance include: Khotyn, Lipcani, Briceni, Soroca, Bălți, Orhei, Ungheni, Bender/Tighina, Cahul, Reni and Kilia. The territory of Bessarabia has been inhabited by people for thousands of years. Cucuteni-Trypillian culture flourished between the 6th and 3rd millennium BC. The Indo-European culture spread in the region around 2000 BC. In Antiquity the region was inhabited by Thracians, as well as for various shorter periods Cimmerians, Scythians, Sarmatians, and Celts, specifically by tribes such as Costoboci, Carpi, Britogali, Tyragetae, and Bastarnae. In the 6th century BC, Greek settlers established the colony of Tyras, along the Black Sea coast and traded with the locals. Also, Celts settled in the southern parts of Bessarabia, their main city being Aliobrix. In 561, the Avars captured Bessarabia and executed the local ruler Mesamer. Following Avars, Slavs started to arrive in the region and establish settlements. Then, in 582, Onogur Bulgars settled in southeastern Bessarabia and northern Dobruja, from which they moved to Moesia Inferior (allegedly under pressure from the Khazars), and formed the nascent region of Bulgaria. With the rise of the Khazars' state in the east, the invasions began to diminish and it was possible to create larger states. 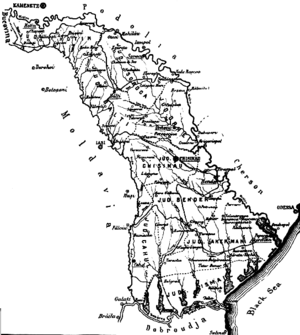 According to some opinions, the southern part of Bessarabia remained under the influence of the First Bulgarian Empire until to the end of the 9th century. Between the 8th and 10th centuries, the southern part of Bessarabia was inhabited by people from Balkan-Dunabian culture (the culture of the First Bulgarian Empire). Between the 9th and 13th centuries, Bessarabia is mentioned in Slav chronicles as part of Bolohoveni (north) and Brodnici (south) voivodeships, believed to be Vlach principalities of the early Middle Ages. 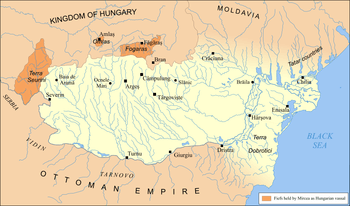 After the 1360s the region was gradually included in the principality of Moldavia, which by 1392 established control over the fortresses of Akkerman and Chilia, its eastern border becoming the River Dniester. In the latter part of the 14th century, the southern part of the region was for several decades part of Wallachia. The main dynasty of Wallachia was called Basarab, from which the current name of the region originated. 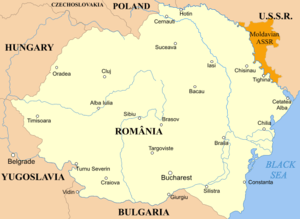 In the 15th century, the entire region was a part of the principality of Moldavia. Stephen the Great ruled between 1457 and 1504, a period of nearly 50 years during which he won 32 battles defending his country against virtually all his neighbours (mainly the Ottomans and the Tatars, but also the Hungarians and the Poles), while losing only two. During this period, after each victory, he raised a monastery or a church close to the battlefield honoring Christianity. Many of these battlefields and churches, as well as old fortresses, are situated in Bessarabia (mainly along Dniester). 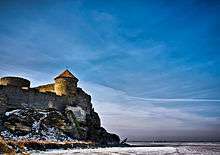 Akkerman fortress in Bilhorod-Dnistrovskyi, Ukraine) was one of the many important castles in Basarabia. By the Treaty of Adrianople that concluded the Russo-Turkish War of 1828-1829 the entire Danube Delta was added to the Bessarabian oblast. In 1834, Romanian language was banned from schools and government facilities, despite 80% of the population speaking the language. This would eventually lead to the banning of Romanian in churches, media and books. Those who protested the banning of Romanian could be sent to Siberia. 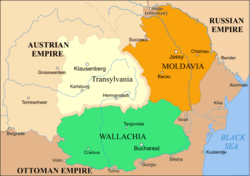 At the end of the Crimean War, in 1856, by the Treaty of Paris, three districts of southern Bessarabia (Cahul, Bolgrad, and Ismail) were returned to Moldavia, causing the Russian Empire to lose access to the Danube river. On January 14, 1918, during the disorderly retreat of two Russian divisions from the Romanian front, Chişinău was sacked. The Rumcherod Committee (Central Executive Committee of the Soviets of Romanian Front, Black Sea Fleet and Odessa Military District) proclaimed itself the supreme power in Bessarabia. On 16 January, the Romanian Army began a full-scale invasion of Bessarabia; following several skirmishes with Moldavian and Bolshevik troops, the occupation of the whole region was completed in early March. 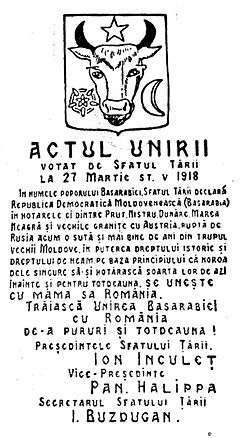 With Romanian troops holding Chişinău, on January 24, 1918, Sfatul Țării declared Bessarabia's independence as the Moldavian Democratic Republic. 86 deputies voted in support, 3 voted against and 36 abstained. The union was recognized by France, United Kingdom, Italy, and Japan in the Treaty of Paris of 1920, which however never came into force, because Japan did not ratify it. The United States refused to sign the treaty on the grounds that Russia was not represented at the Conference. Soviet Russia (and later, the USSR) did not recognize the union, and by 1924, after its demands for a regional plebiscite were declined by Romania for the second time, declared Bessarabia to be Soviet territory under foreign occupation. Administrative map of the Governorate of Bessarabia in February 1942. 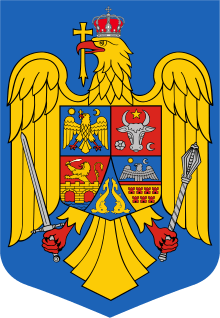 The Soviet Union did not recognize incorporation of Bessarabia into Romania and throughout the entire interwar period engaged in attempts to undermine Romania and diplomatic disputes with the government in Bucharest over this territory. The Molotov-Ribbentrop Pact was signed on August 23, 1939. By Article 4 of the secret Annex to the Treaty, Bessarabia fell within the Soviet interest zone. In spring of 1940, Western Europe was overrun by Nazi Germany. With world attention focused on those events, on June 26, 1940, the USSR issued an ultimatum to Romania, demanding immediate cession of Bessarabia and Northern Bukovina. Romania was given four days to evacuate its troops and officials. The two provinces had an area of 51,000 km2 (20,000 sq mi), and were inhabited by about 3.75 million people, half of them Romanians, according to official Romanian sources. Two days later, Romania yielded and began evacuation. During the evacuation, from June 28 to July 3, groups of local Communists and Soviet sympathizers attacked the retreating forces, and civilians who chose to leave. Many members of the minorities (Jews, ethnic Ukrainians and others) joined in these attacks. The Romanian Army was also attacked by the Soviet Army, which entered Bessarabia before the Romanian administration finished retreating. The casualties reported by the Romanian Army during those seven days consisted of 356 officers and 42,876 soldiers dead or missing. On August 2, the Moldavian Soviet Socialist Republic was established on most of the territory of Bessarabia, merged with the western parts of the former Moldavian ASSR. Bessarabia was divided between the Moldavian SSR (70% of the territory and 80% of the population) and the Ukrainian SSR. Bessarabia's northern and southern districts (now Budjak and parts of the Chernivtsi oblast) were allotted to Ukraine, while some territories (4,000 km2) on the left (eastern) bank of Dniester (present Transnistria), previously part of Ukraine, were allotted to Moldavia. Following the Soviet takeover, many Bessarabians, who were accused of supporting the deposed Romanian administration, were executed or deported to Siberia and Kazakhstan. After three years of relative peace, the German-Soviet front returned in 1944 to the land border on the Dniester. On August 20, 1944, a c. 3,400,000-strong Red Army began a major summer offensive codenamed Jassy-Kishinev Operation. The Soviet armies overran Bessarabia in a two-pronged offensive within five days. In pocket battles at Chişinău and Sărata the German 6th Army of c. 650,000 men, newly reformed after the Battle of Stalingrad, was obliterated. Simultaneously with the success of the Russian attack, Romania broke the military alliance with the Axis and changed sides. On August 23, 1944, Marshal Ion Antonescu was arrested by King Michael, and later handed over to the Soviets. The Soviet Union regained the region in 1944, and the Red Army occupied Romania. By 1947, the Soviets had imposed a communist government in Bucharest, which was friendly and obedient towards Moscow. The Soviet occupation of Romania lasted until 1958. The Romanian communist regime did not openly raise the matter of Bessarabia or Northern Bukovina in its diplomatic relations with the Soviet Union. Between 1969 and 1971, a clandestine National Patriotic Front was established by several young intellectuals in Chişinău, totaling over 100 members, vowing to fight for the establishment of a Moldavian Democratic Republic, its secession from the Soviet Union and union with Romania. The population before World War II consisted of Romanians (including Moldavians), Ukrainians, Russians, Bulgarians, Gagauz, Germans, and Jews. According to Romanian historians, during the 19th century the ethnic Romanians decreased from 86% (1817) to 47.6% (1897) (although other sources cite different data for the same period of time: 52% or 75% (Krusevan) for 1900, 53.9% (1907), 70% (1912, Laskov), or 65–67% (1918, J. Kaba)). The Russian Census of 1817, which recorded 96,526 families and 482,630 inhabitants, did not register ethnic data except for recent refugees (primarily Bulgarians) and certain ethno-social categories (Jews, Armenians and Greeks). In the 20th century, Romanian historian Ion Nistor extrapolated the numbers for the other ethnic groups, providing the following estimates: 83,848 Romanian families (86%), 6,000 Ruthenian families (6.5%), 3,826 Jewish families (1.5%), 1,200 Lipovan families (1.5%), 640 Greek families (0.7%), 530 Armenian families (0.6%), 482 Bulgarian and Gagauz families (0.5%). An 1818 statistic of three counties in southern Bessarabia (Akkerman, Izmail and Bender) that had witnessed strong emigration of the Muslim population and immigration from other regions, including Ottoman lands south of the Danube, recorded the following percentages: 48.64% Moldavians, 7.07% Russians, 15.65% Ukrainians, 17.02% Bulgarians and 11.62% others, amounting to a total population of 113,835. According to an administrative census made in 1843–1844 at the request of the Russian Academy of Sciences, the following proportions were recorded, in a total of 692,777 inhabitants: 59.4% Moldavians, 17.2% Ukrainians, 9.3% Bulgarians, 7.1% Jews and 2.2% Russians. It should be noted that, in the case of some urban centres, figures were not reported for all ethnic groups. Furthermore, the size of the total populations differs from other official reports of the same period, which put the population of Bessarabia at 774,492 or 793,103. According to Ion Nistor, the population of Bessarabia in 1856 was composed of 736,000 Romanians (74%), 119,000 Ukrainians (12%), 79,000 Jews (8%), 47,000 Bulgarians and Gagauz (5%), 24,000 Germans (2.4%), 11,000 Romani (1.1%), 6,000 Russians (0.6%), adding to a total of 990,274 inhabitants. Data of the Romanian census 1939 was not completely processed before the Soviet occupation. Estimates of the total population at 3.2 million. 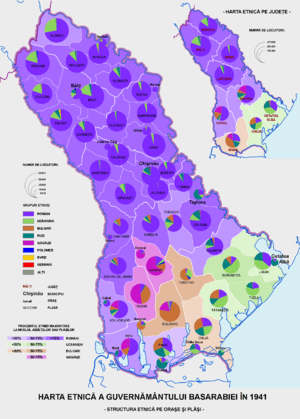 Soviet census, 1979: 69% of Moldavian SSR's population were Moldovans, and 98% of them declared Moldovan language (Romanian language) as their native language. Estimate, 1992: 4,305 immigrants to Israel from the Republic of Moldova constituted 7.1 percent of all the immigrants to Israel from the former U.S.S.R. in this year. 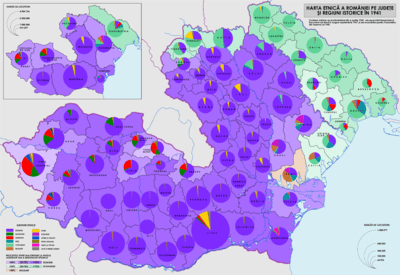 Moldovan census, 2004: There were 65,072 Bessarabian Bulgarians according to the census not including Bulgarians in Transnistria. 1918: There was only 657 miles (1,057 km) of railway; the main lines converged on Russia and were broad gauge. Rolling stock and right of way were in bad shape. There were about 400 locomotives, with only about one hundred fit for use. There were 290 passenger coaches and thirty three more out for repair. Finally, out of 4530 freight cars and 187 tank cars, only 1389 and 103 were usable. The Romanians reduced the gauge to a standard 56.5 inches (1.44 m), so that cars could be run to the rest of Europe. Also, there were only a few inefficient boat bridges. Romanian highway engineers decided to build ten bridges: Cuzlău, Țuțora, Lipcani, Șerpenița, Ștefănești–Brăniște, Cahul-Oancea, Bădărăi-Moara Domnească, Sărata, Bumbala-Leova, Badragi and Fălciu (Fălciu is a locality in Romania. Its correspondent in Bessarabia is Cantemir.) Of these, only four were ever finished: Cuzlău, Fălciu, Lipcani and Sărata. ↑ Coman, Marian (2011). "Basarabia – Inventarea cartografică a unei regiuni". Studii şi Materiale de Istorie Medie. Institutul de Istorie Nicolae Iorga. 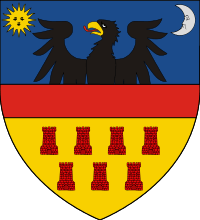 XXIX: 183–215. ISSN 1222-4766. ↑ Prothero, GW, ed. (1920). Bessarabia. Peace handbooks. London: H.M. Stationery Office. pp. 12, 15–16. ↑ Stoica, Vasile (1919). The Roumanian Question: The Roumanians and their Lands. Pittsburgh: Pittsburgh Printing Company. p. 31. ↑ Kaba, John (1919). Politico-economic Review of Basarabia. United States: American Relief Administration. p. 8. ↑ "Constructing Interethnic Conflict and Cooperation: Why Some People Harmed Jews and Others Helped Them during the Holocaust in Romania Diana Dumitru". World Politics. 63 (1): 1–42. January 2011. Retrieved 2014-10-19. ↑ "Political Repressions in the Moldavian Soviet Socialist Republic after 1956: Towards a Typology Based on KGB files Igor Casu". Dystopia. I (1–2): 89–127. 2014. Retrieved 2014-10-19. 1 2 Poștarencu, Dinu (2009). Contribuții la istoria modernă a Basarabiei. II. Chişinău: Tipografia Centrală. pp. 24–25. ISBN 978-9975-78-735-2. ↑ Poștarencu, Dinu (2009). Contribuții la istoria modernă a Basarabiei. II. Chișinău: Tipografia Centrală. p. 30. ISBN 978-9975-78-735-2. ↑ Poștarencu, Dinu (2009). Contribuții la istoria modernă a Basarabiei. II. Chişinău: Tipografia Centrală. pp. 34–36. ISBN 978-9975-78-735-2. ↑ Poștarencu, Dinu (2009). Contribuții la istoria modernă a Basarabiei. II. Chișinău: Tipografia Centrală. p. 40. ISBN 978-9975-78-735-2. ↑ Charles Upson Clark, Bessarabia. Russia and Roumania on the Black Sea: "These figures were based on estimates of the population of Bessarabia as consisting 70% of Moldavians, 14% Ukrainians, 12% Jews, 6% Russians, 3% Bulgarians, 3% Germans, 2% Gagautzi (Turks of Christian religion), and 1% Greeks and Armenians. This appears to be a fairly accurate guess; the official Russian figures, which the Moldavians considered as inaccurate and padded, set the Moldavian proportion considerably lower, as about one-half. Such figures are misleading in all European countries of mixed nationalities, since the census enumerator generally has instructions to count everyone who understands the state language as being of that nationality, no matter what his everyday speech may be." Wikivoyage has a travel guide for Bessarabia. Wikimedia Commons has media related to Bessarabia. Igor Casu, (2000) "Politica naţională" în Moldova Sovietică, 1944–1989, Chisinau, 214 p.